Rosehip, Chia & Strawberry Raw Bliss Balls, a high energy snack made from nutrient-rich nuts, seeds, dried fruits and superfoods. Dates, almonds, cashews, dried organic mulberries, coconut, organic chia seeds. 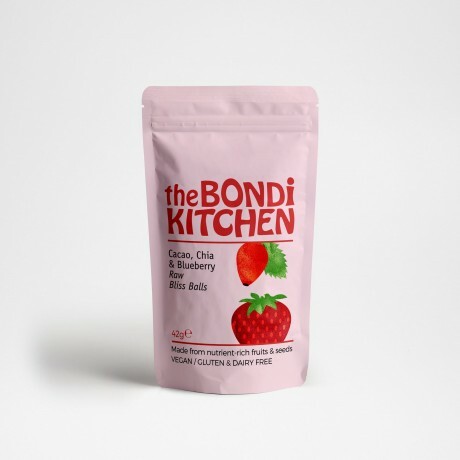 freeze-dried strawberry powder, rosehip powder, green tea extract.